Carpets are commonly identified and categorised into basic styles. You can easily identify the different styles by their appearance and surface texture. You might be surprised by how the different styles can cause the same colour carpet to look different and thus creating a different ‘feel’ to a room. When you are comparing the different carpet styles in person at our store, make sure you feel each style because you have to keep in mind carpet is for walking on. Hence, you need to like how it feels first before deciding on whether the carpet looks good in a room. The Cut pile carpet is tufted in a loop. The loop is then cut to give the carpet it’s cut pile appearance. Once this is done the carpet is then dyed and then the backing is put on. Plush: The plush pile carpet has a smooth surface area. This gives the carpet a velvet look and feel. Colours are usually stronger in this type of carpet as the light reflects off the maximum amount of surface area. Manufactured in 100% synthetic, 100% wool, or a blend of the two fibres. The twist pile is slightly different to the plush. The tufts have more of a twist. This gives the effect of a rough surface to the carpet. 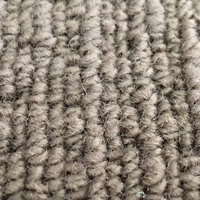 The amount of twist will determine how rough the surface of the carpet will appear to be. 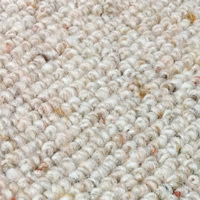 Colours are usually lighter than the plush pile colours in this type of carpet as the light is reflected off the surface area in different angles. Manufactured in 100% synthetic, 100% wool, or a blend of the two fibres. The Berber style carpet is basically a loop pile carpet although it can be a cut pile carpet as well. Commonly recognised by its flecked appearance. There are several different styles of carpet that come under the Berber style. Level loop Berbers, are exactly that. A level loop, which is tufted with each row offset from the next one. Berber carpet usually has a flecked appearance. Manufactured in 100% wool, 100% synthetic or a blend of the two fibres. Level loop pile carpets are generally used in commercial applications. The tufting process is the same as Berber carpet, however, the loop sizes are usually smaller and these types of carpet are often manufactured with a graphics or a multicolour pattern design. This type of carpet is usually very hard wearing. Usually only manufactured in a synthetic fibre. This type of carpet is basically made with large and small loops that are set out to make a pattern or design. The loops often vary in height and sometimes size as well. Manufactured in 100% synthetic, 100% wool, or a blend of the two fibres. Sisal carpet generally, is a loop pile carpet that is tufted in a ribbed pattern. The ribs are usually alternating in height although some Sisal’s have the ribs at the same height. This allows the carpet to have two or more alternating colours giving the carpet an even more distinctly ribbed appearance. Manufactured in 100% synthetic, 100% wool, or a blend of the two fibres. Cut and loop carpet is where the loop pile is cut as with the Plush pile, except some loops are left uncut. This leaves a patterned effect throughout the carpet. Usually only manufactured in a synthetic fibre. 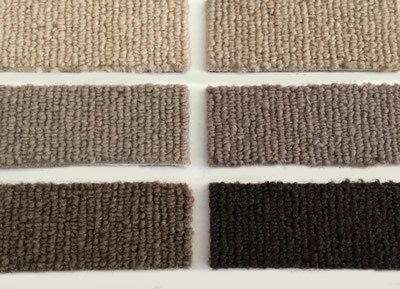 Axminster: This style of carpet is usually extremely long lasting and durable. The construction of the carpet allows the use of a large number of colours. 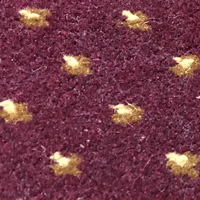 Unlike tufted carpets where the fibre is dyed after the carpet is tufted, the fibres in a woven carpet are dyed before the carpet is woven, allowing longer colour life and thereby decreasing the risk of fading of the pattern dye colouring. These carpets are usually manufactured from 100% wool or 80/20 wool blends.